See a different side to the Gold Coast on this evening tour that takes you to the ancient forests of the Hinterland. 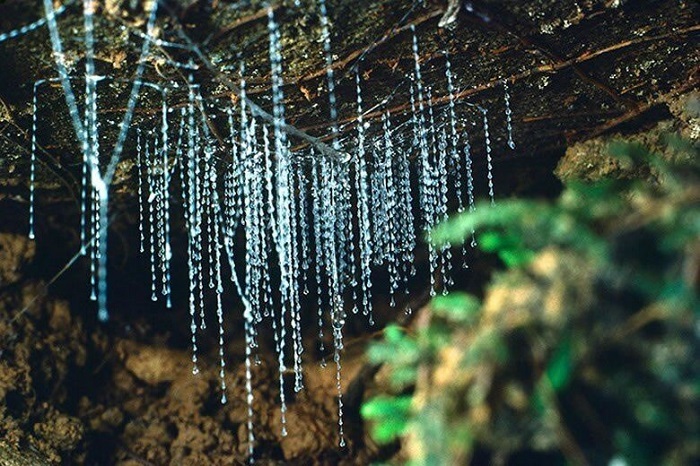 During the tour, you’ll have the chance to explore the age-old history that imbues the region and spot the ever-elusive glow worms that call the area home. As darkness begins to fall, we’ll venture to the World Heritage Listed National Park, where we’ll swiftly change from the glitzy lights of the lively Gold Coast to the tranquil and magical surrounds of the nearby mountains and rainforest on our Glow Worm Evening Tour. We’ll start our adventure with a relaxing stroll through one of Australia’s rainforest before entering our private secluded cave to witness the incredible light display of the magical creatures of the glow worms. 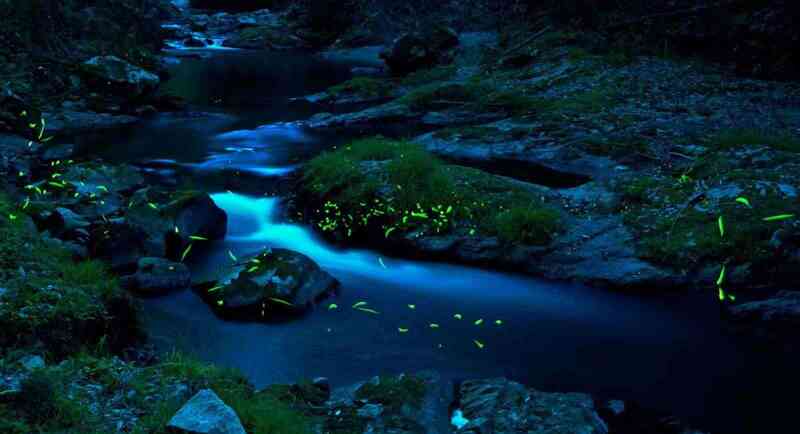 As we arrive in our secluded glow worm cave, you’ll enter nature’s own planetarium. 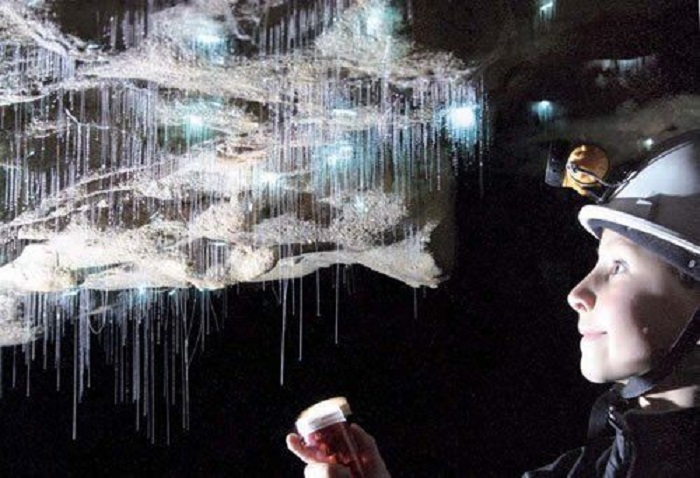 Be enchanted by the hundred and thousands of glow worms lighting up the cave walls in a magnificent display of nature. The adventure continues with a full guided rainforest walk through the ancient canopies, passing colourful plant and bird life as you go. 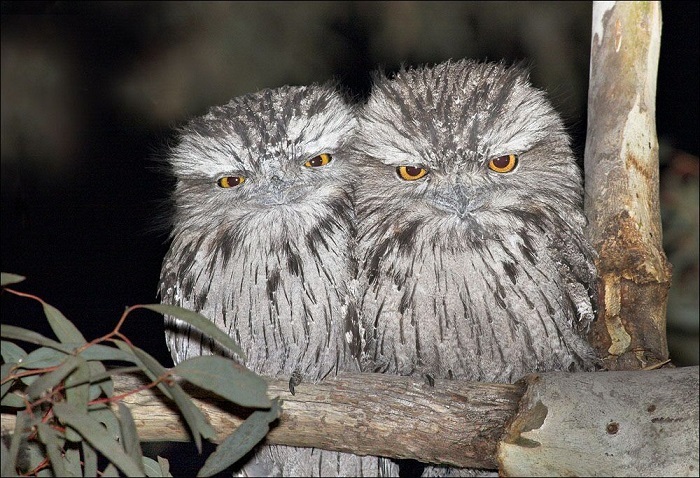 Uncover the hidden creatures of the night and witness them in their natural habitat as you listen to the sound of the forest coming alive all around you. If you’re lucky, you may even catch a glimpse of the mythical glow worms that descends across the forest, so be sure to use your torch light to find these creatures! 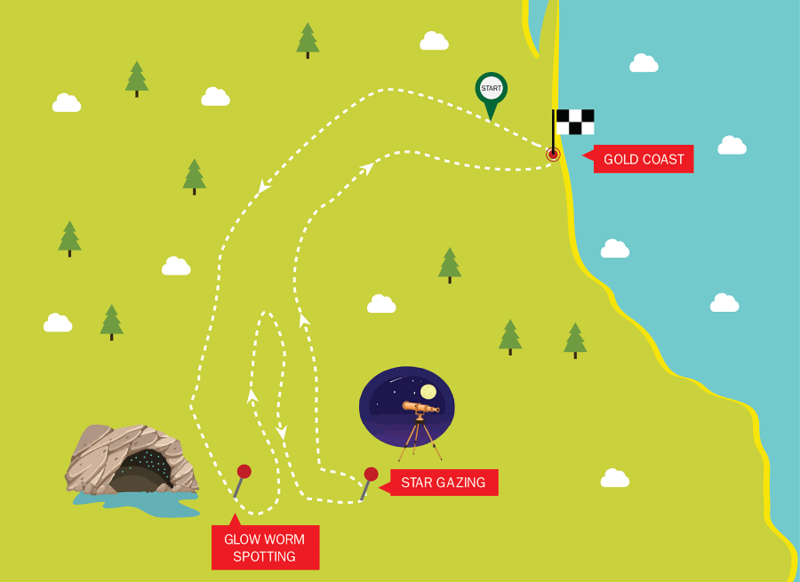 Our final stop for our Evening Glow Worms Tour, is to the majestic Goolmoolahra Falls to get the chance to star gaze through the milk-way and enjoy the stunning background view of the magnificent coastal line of the Gold Coast. Pickups for this tour commence at 4:45pm. Please provide a valid phone number and email address when you book and we will contact you closer to your travel date with a confirmed pickup time.